It’s easy to be cynical about a sudden proliferation of anything – maybe one day we’ll be whining about an influx of Half-Life 3 clones – but it’s been fun to watch the rise of rival CCGs where previously there was only one. 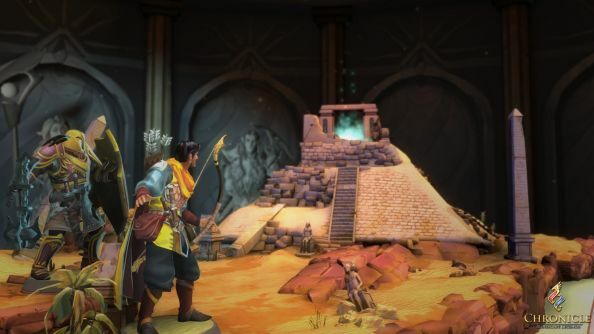 Jagex’s take on the genre, Chronicle: RuneScape Legends, is about questing your way through “card-based adventures”. Closed beta registrations have begun. Looking to get into CCGs? These are the best Hearthstone decks for beginners. The beta will get rolling in November, lead designer Jim Sweatman announced at RuneFest this weekend. Jagex have been fiddling with Chronicle since the start of last year, and have wound up with a board-based, RPG-ish affair in which opposing players “quest towards an ultimate showdown”. It looks to take as much from Talisman as it does Hearthstone. We’re promised expansive deck building, deep crafting tools, hundreds of cards, a formidable offline ‘Gauntlet’ mode, and ‘pick up and play’ combo mechanics. That last point seems feasible enough – Sweatman spent a year as RuneScape’s player experience manager, ensuring that new players had a good time. Sign up for the beta on the Chronicle site, if you like. Is there space in your hand for another CCG?